A busy day with 3 trips and plenty of awesome animals!!! 1: Todays whale watching trip started at dawn to a beautiful sunrise coming over top of the mountain range to the east. 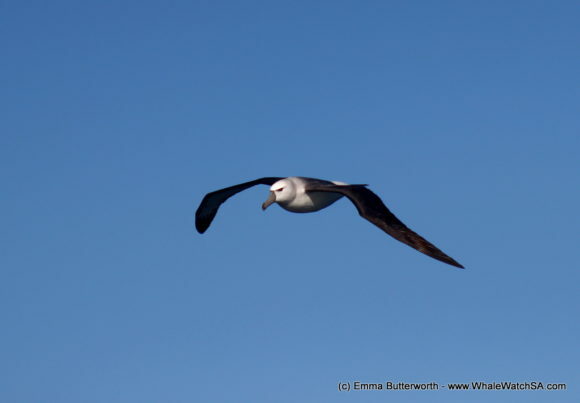 Shortly after leaving Kleinbaai harbour the boat was passed by a pair of albatross as well as a trio of sub-antarctic skuas which regularly tail the boats out of harbour. 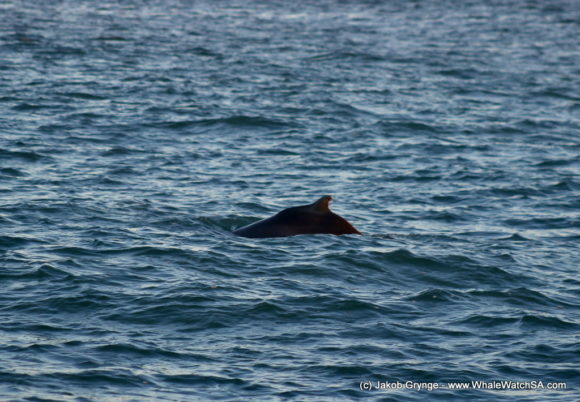 We were heading to the shallows with hopes of spotting any of the 3 dolphin species found in the area, however of the whale watching trips I have been on of late there haven’t been any dolphins so I wasn’t too hopeful. That is why I was absolutely delighted when one of the deck hands, Tshawe, pointed out 3 hump-back dolphins, one of which was a baby, just off the shore. Over the next 15 minutes the dolphins gradually came closer to the boat eventually coming within 20 metres of the boat. As the dolphins began to head back to shallower waters, the interns Yannick and I, took the YSI readings before we carried on with the trip. After the dolphins in the shallows we headed over to Dyer Island and Geyser Rock to see the seals. When we arrived at Dyer Island we had a quick scan of the shore to try and spot some penguins. Upon further inspection the crew spotted a few penguins hanging out on the rocks, while they were relatively inactive it’s always nice to see the penguins on the island from the boat. Shortly after we went over into shark alley to watch the sunbathing seals. 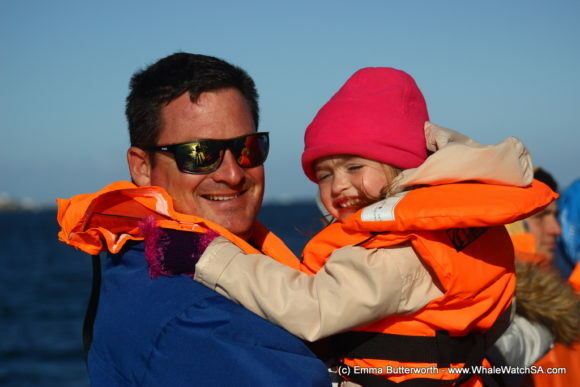 Following our usual run up and down Shark Alley we began to make our way towards Gansbaai harbour for the launch of the second whale watching trip as the tide was too low for boats to be launched from the harbour in Kleinbaai. We were about half way to Danger Point when one of the clients suddenly shouted, “OVER THERE!”, he had spotted the spout of a Humpback whale at our 5 o’clock so the skipper immediately turned around. 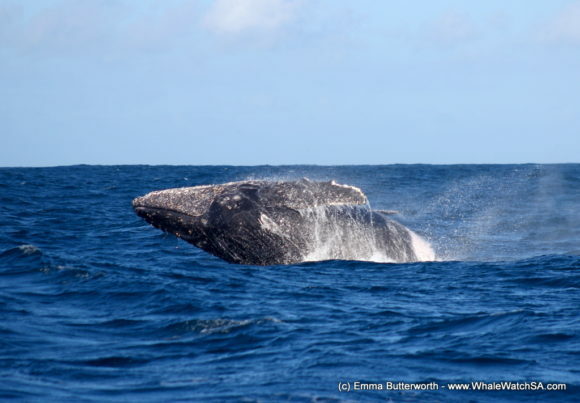 After a few minutes of searching the whale surfaced roughly 30 metres from the boat to the cheers of the clients who were happy to see the first whale of the trip. It was quite a lively Humpback as well, throwing its tail out of the water on several occasions. We had spent nearly 20 minutes with the whale when it started to head further out to sea, so we continued on our way to Gansbaai harbour. Passing Danger Point we were almost at the end of the trip, not expecting to need to take anymore pictures I put my camera away. No sooner than I had done so, a Mola Mola aka Sunfish, was spotted close to the boat. The sunfish hung around the boat for a few minutes before we had to leave or we’d be late to the harbour. With only a few hundred metres from the harbour entrance I was sure we wouldn’t have more late arrivals… But I was wrong. To everyone’s surprise a Southern Right whale was spotted just outside the entrance. Unfortunately, we couldn’t stop to watch it so we only caught a few glimpses. Nonetheless is was the perfect way to end a very enjoyable trip. 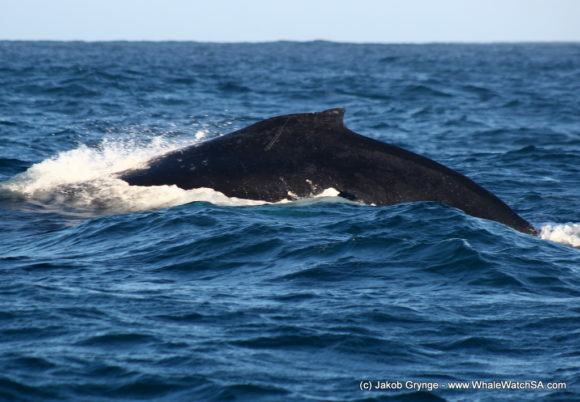 2: On our way out of Gansbaai Harbour, we started our trip by passing by a Southern Right Whale and some Humpback Whales which gave us some good views as we went around Danger Point. We also briefly passed a couple of African Penguins which, at only 60cm tall, are not easy spot swimming in the waves. 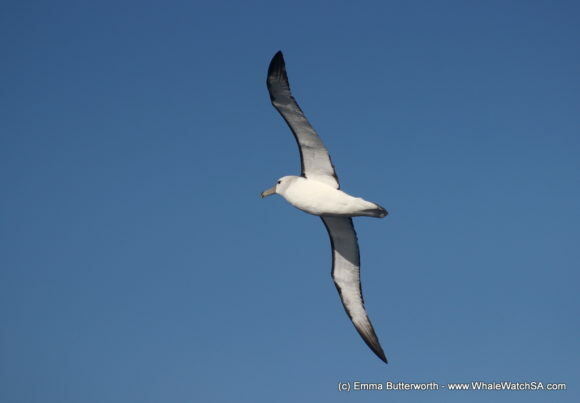 Once around the headland we saw plenty of Shy Albatross, a beautiful bird that has a wingspan of up to 2.5m which is uses to glide for hours across the ocean. Albatross almost never need to flap due to their huge wingspan and use a technique called “dynamic soaring” which utilises the updrafts created by waves to lift the bird higher into the air. 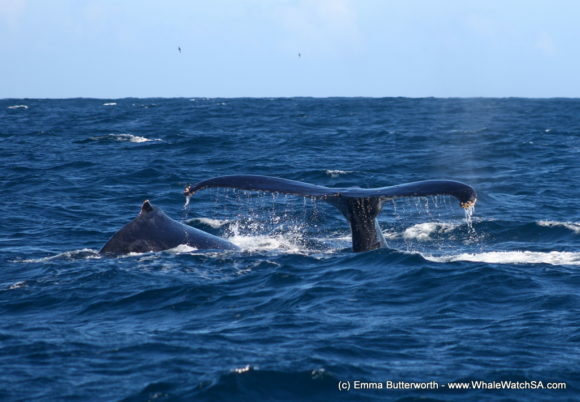 We were then lucky enough to find a couple more Humpback whales which greeted us with some fabulous breaches!!! This pair were very active, even when they stopped breaching, showing us lots of flukes (a very iconic view of the Humpback Whale tail). A Humpbacks tail is as unique as our fingerprints and photos of the underside of the tail can be used to identify individuals that return to the area. 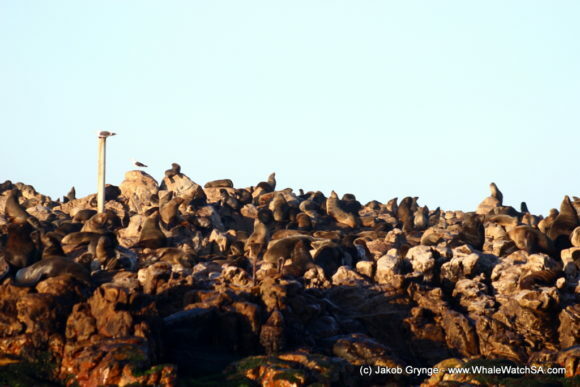 After spending time watching these graceful animals and the many albatross which flew around us, it was time to visit Geyser Rock, our Cape Fur Seal Colony. At around 3 hectares, this is not a large area for 60,000 seals to live and as a result the seals are always climbing over one another which is amusing to watch. 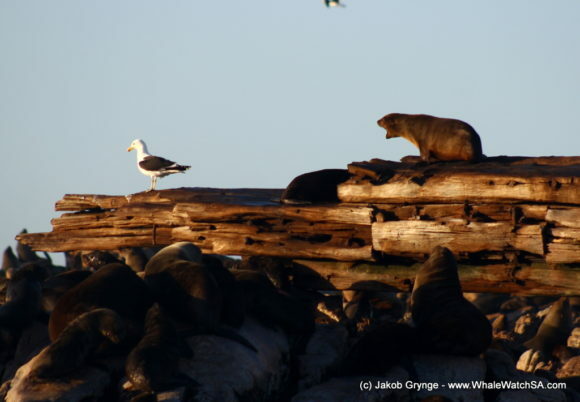 The piece of wood that the seals like to lie on is actually the keel of a shipwreck (not a sun-bed as the seals believe!) called The Prince Port. This was wrecked on the island in March 1885. 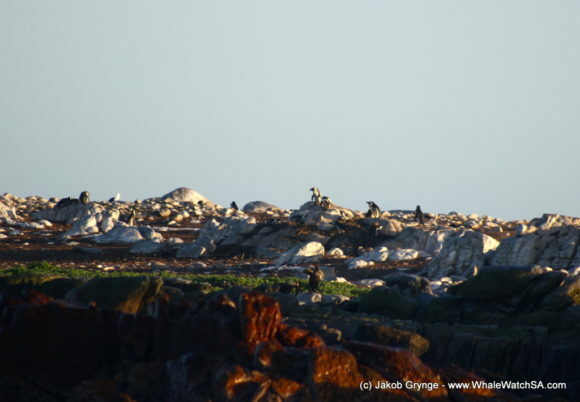 Once we had our fill of seal watching, we returned to Gansbaai Harbour enjoying some lovely scenery and more seabirds on the way back. 3: Orange jackets on and off we go! Launching from Gansbaai’s old harbour gave us the possibility to go around Dangerpoint and get some really nice views of the lighthouse while hearing about the story of the M.S.Birkenhead which sank on the Birkenhead Rock. Over 400 soldiers lost their lives in this tragedy but out of it came what is today known as the “Birkenhead Drill”, the procedure in which women and children are prioritized to get off the boat in case of emergency. Rounding Dangerpoint we spotted a spout in the distance and as we came closer a Humpback Whale lifted itself out of the water to say hi! The sole whale was soon joined by another Humpback and together the pair moved off and left us to find ourselves a new sighting. 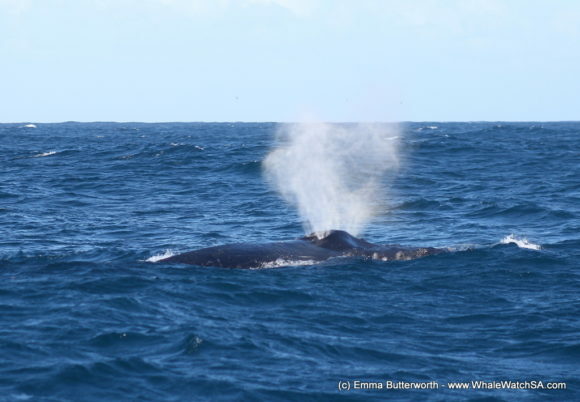 Mission soon accomplished as we spotted a Southern Right Whale from afar. He didn’t stay with us for long though and we were sent on our way again. Moving towards Dyer Island we had the true exceptional encounter of our trip, that being a Southern Right Whale and a Humpback Whale travelling together! We have never observed anything like this before so were truly blessed! 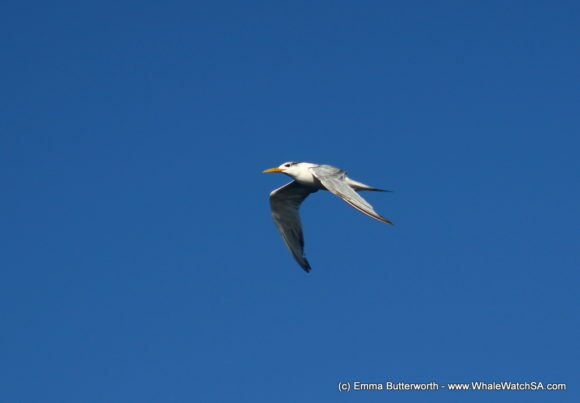 The unusual pair continued its journey and so did we as we turned towards the island and Shark Alley. 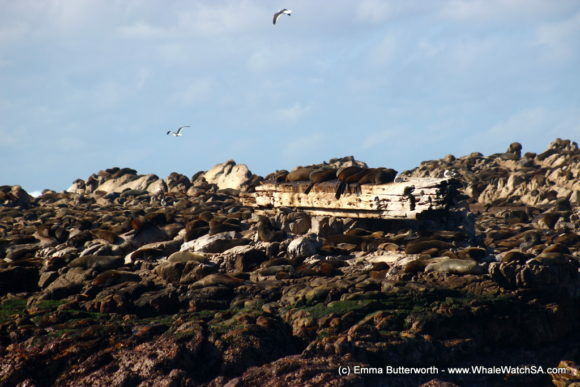 Our 60.000 strong Cape Fur seal colony welcomed us with open arms, or flippers rather. Their rotational pelvis allows the seals to climb the rocks on Geyser Rock or even the keel of the shipwrecked “Prince Port”, a ship that hit bottom there on its way from South Africa to India. Today they were out sunbathing and playing in the water as we made our way into the alley. On our way back to the harbour we stopped at our sister company Marine Dynamics who do the shark cage diving and showed our passengers that every one of them could also be a shark cage diver. We were hugging the coast as we took off again and we got to appreciate the amazing landscape around us. Happily all of us marched up to the Great White House afterwards and warmed ourselves up over some hot soup.